Some parts of Barceloneta are affected by the ‘ley de costas’, or coastal law. In theory these properties are built on public land, and could be expropriated without compensation. New changes to the Ley de Costas have reduced this risk and created some fantastic investment opportunities. Barceloneta is one of the 4 districts that make up Barcelona’s Old Town. The other districts are the Ribera (which includes the Born), the Gothic Quarter and the Raval. The Old Town is known as Ciudad Vieja in Spanish and Ciutat Vella in Catalan. Barceloneta was built 150 years ago to house the fishermen working out of Barcelona’s port. The original inhabitants were not wealthy and the real estate for sale reflects this. The relative poverty of the original inhabitants means that Barceloneta’s property for sale is not of the best quality. Nevertheless buildings are basically well constructed but lack any of the fancy detail and charm found in wealthier zones of Barcelona, such as the Ensanche and the Born. Furthermore the buildings of Barceloneta were built close together as maximising living area per square metre was more important than comfort and style at the time Barceloneta was built. This means that property and apartments in Barceloneta feel somewhat claustrophobic, noisy and lack privacy. Priorities change and in the present day Barceloneta’s location is unbeatable; right on the beach and walking distance to many of Barcelona’s main attractions in the Old Town and the Born. It also has several parks and sports facilities near by. Barceloneta apartments are now some of the most sought after areas in Barcelona amongst foreign buyers. Foreign buyers tend to be relatively young and from other EU countries like the UK. These buyers are looking for small second homes with access to the youthful attractions of Barcelona such as the beach and the Born. They also wish to rent out their apartments on a short-term basis when they are not there. Locals are also buying up apartments in Barceloneta with a view to renting them out on a short-term basis. Barceloneta’s residents are a mixture of old timers, new-age types and young foreigners from other European countries. Given the amount of apartments in Barceloneta offered on short term lets there are also a large number of tourists staying in Barceloneta. Apartments tend to be small and expensive in terms of price per square metre. Many of the buildings in Barceloneta do not have a lift. For the time being many if not most apartments need some sort of refurbishment. 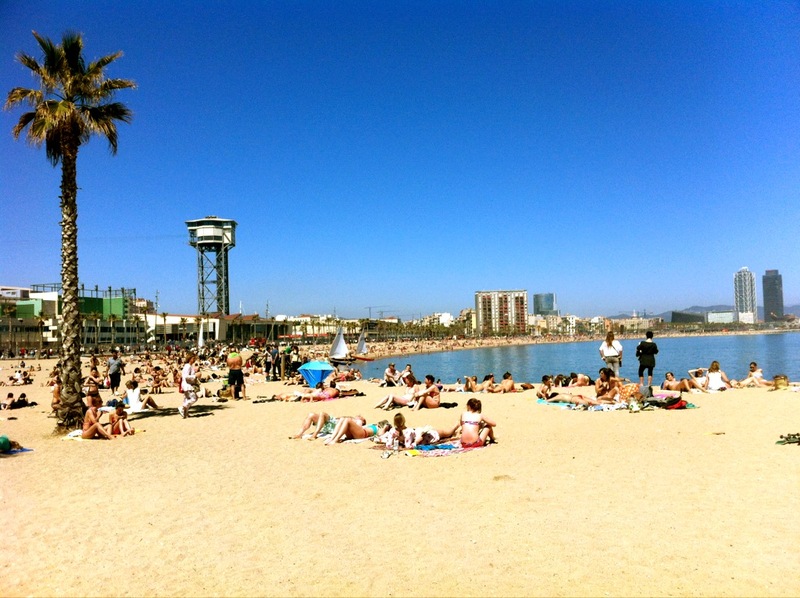 There are two main reasons why Barceloneta is relatively expensive. One is because if its unique position on the beach without any barrier such as the Ronda Del Litoral dual carriage way between it and the beach. The other is because most of the properties in Barceloneta are small and prices per square metre tend to rise the smaller the property. In the future Barceloneta will continue to attract younger international buyers and short-term rental investors largely due to its unbeatable location. Because of the small size of most apartments in Barceloneta prices are still accessible though in relative terms they are expensive. Barceloneta has the potential to become one of Barcelona’s trendiest districts if it is developed the right way.